The BAKFlip MX4 is a hard folding tonneau cover made by BAK Industries. 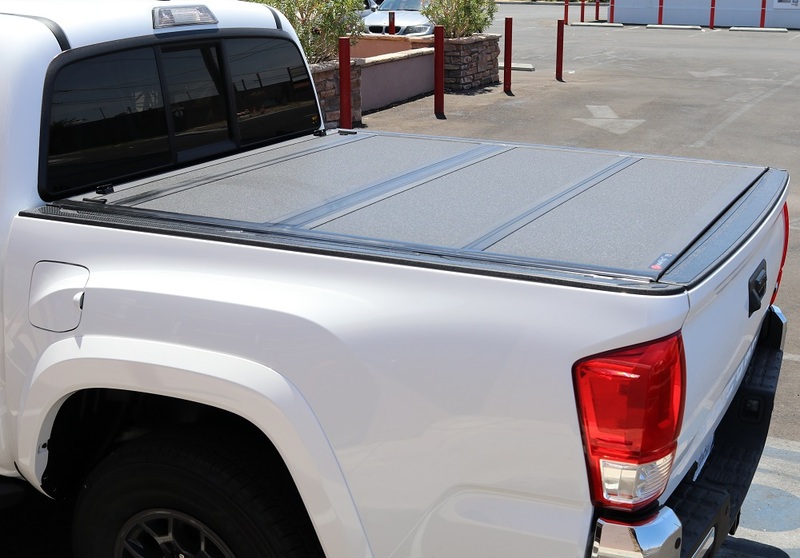 This truck bed cover has a low-profile design with textured aluminum panels which can be folded up into increments allowing full bed access. 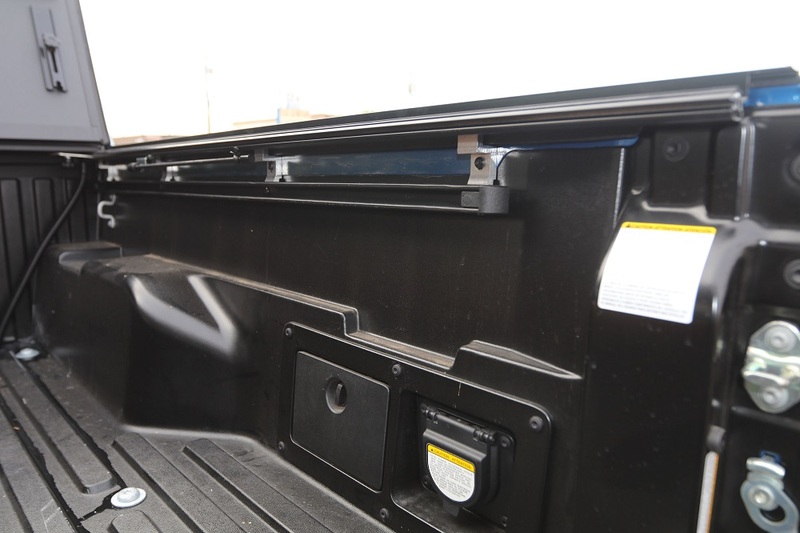 The new Toyota Tacoma has a track deck rail system which is for tie-downs. BAKFlip MX4 has compatibility with this utility rail system. There is no drilling required to install the rails.